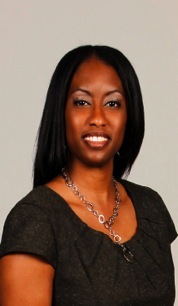 Dr. Jenelle S. Pitt, CRC, LPCC, LPC is a contributing faculty member in the CACREP accredited Ph.D. in Counselor Education and Supervision Program at Walden University. She received her Bachelor’s degree in Psychology from the University of California, Riverside, her Master’s degree in Rehabilitation Counseling from Michigan State University, and her doctorate in Rehabilitation Counselor Education from Michigan State University. She has 18 years of experience in working with people with disabilities from marginalized backgrounds across multiple settings including state government, schools, and non-profit agencies. Boston, Q., Bynum, F., Vaughn, S., Pitt, J. S., Smith-Augustine, S., Waldrum, S. G. (2012). Chronic disability and women of color: Implications for rehabilitation professionals. Rehabilitation Counselors and Educators Associations' Journal. Lewis, A., King, E., Pitt, J. S., Getachew, M., Shamburger, A. (2010). Critical thinking skills for rehabilitation professionals in the 21st century. Rehabilitation Education. D. Strauser, ., Burris, J., Lewis, A. N., Pitt, J. S., Getachew, M., Alston, R. (2013). Essential knowledge for improving employment of ethnic minorities with disabilities in the United States. Franca, M. C., Flowers, C. R., McC, ., abe Smith, L., Pitt, J. S. (2007). The impact of multiculturalism in rehabilitation education. Rehabilitation Counselors and Educators Journal. Pitt, J. S., Vaughn, S., Shamburger-Rosseau, A., Harris, L. (2015). Black women in academia: The invisible life..
, ., Pitt, J. S. (2017). Multicultural counseling competencies: Why is it difficult to apply what we know...? . Pitt, J. S. (2016). Who speaks for me? Learning to resist with marginalized statuses in the academy..
Boston, Q., Shamburger-Rosseau, A., Ethridge, G., Dunlap, P. N., Pitt, J. S., Shaw, M. (2015). Multicultural supervision: Implications for rehabilitation counseling doctoral students. . Rehabilitation Counselors and Educators Journal. Pitt, J. S., Gines, J., Wilson, K. B. (2014). Acquisition and application of multicultural counseling competencies for emerging and established professionals. Oliver, D., Nusbaum, E., Pitt, J. S. (2011). Applying an ethical decision-making model across the curriculum in higher education administration, special education, and rehabilitation counseling pedagogy. Pitt, J. S. (2012). Building cultural competence at the pre-service level: Incorporating the service learning component. Virginia Commonwealth University Project Empowerment. Pitt, J. S., Romero, M. (2010). Enhancing rehabilitation counseling doctoral study and post-doctorate experiences. Wilson, K. B., Pitt, J. S., Gines, J. (2012). Multicultural counseling competencies: Understanding cognitive, affective, and behavioral dimensions to change behavior. Pitt, J. S. (2013). Promoting multicultural competence using service learning pedagogy: What we learned along the way. Pitt, J. (2016). The Flat-footed truth: Lived experiences of Black women in academia. . NCRE. Pitt, J. S. (2015). From surviving to thriving as a Black woman in academia.. National Association of Multicultural Rehabilitation Concerns (NAMRC) Conference.